I haven't been running lately. I have every intention to, but with finals coming up and a sore knee I haven't had time. I will have time in the next few days to go out and experiment though! I have been doing squats to strengthen my legs and knees. I have seen an improvement. My knee is much less sensitive to downhill movements. 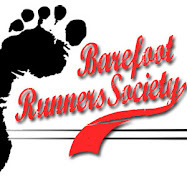 I have been reviewing some barefoot running tips just to make sure I am doing everything right. Sure enought I stumbled across a few things that I find need improvement. Cadence: My cadence isn't as consistent as I would like it to be. I just need to practice running and paying attention to it. I think around 200 steps-per-minute fits me well. Lifting: I never pay attention to this. I need to be focusing on lifting my feet, not putting them down. These plus some forward hip lean will get me running right. Since I have had all these injuries I don't know if I am going to be able to run the 50K. My mind is telling me to start small again (5K days for a bit until I am comfortable) and build up to the longer distances. I think I lost a lot more than I thought on my time off, but still believe I can run the distances, which will get me hurt in the long run(no pun intended). Today I experimented with a vegan diet. I found a book on OrganicAthlete that is completely free(PDF download) and informative. Am I magically a vegan now? Heck no! Turkey day is right around the corner! Am I going to make an honest effort to eat more vegan-styled meals? Sure! My health is very important to me and anything to give me an edge over the "I just ate McDonalds now I want to run a 5K" guy is just what I need. I figure I will also appreciate those non-vegan meals I eat from time to time. Thanks for the link. The more I look into nutrition the more I find regarding the need to move towards raw, unprocessed food, especially fruits and vegetables. I'm currently reading the 'China Study,' a collection of a number of different nutritional studies identifying the harm in animal byproduct foods... interesting and potentially life changing stuff. I'm very interested in looking more into what Organic Athlete has to offer.